In a small town in the south-east of Ireland in the 1950s, Eilis Lacey is one among many of her generation who cannot find work at home. So when a job is offered in America, it is clear that she must go. 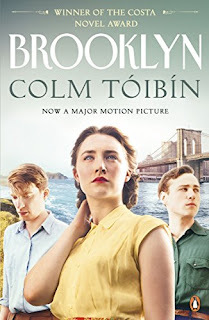 Leaving her family and home, Eilis sets off to forge a new life for herself in Brooklyn. Young, homesick and alone, she gradually buries the pain of parting beneath the rhythms of a new life - days at the till in a large department store, night classes in Brooklyn College and Friday evenings on the dance floor of the parish hall - until she realizes that she has found a sort of happiness. But when tragic news summons her back to Ireland, and the constrictions of her old life unexpectedly give way to new possibilities, she finds herself facing a terrible choice: between love and happiness in the land where she belongs and the promises she must keep on the far side of the ocean.